After payment of the expenses incurred for the site maintenance, TGMDev will transfer the remaining part of the donations to a Belgium NGO called 'Light for The World'. Acheron 2.0 is based on the WinCrv application but rewritten completely to use standard Windows 8 interface (including Ribbon). Fractal displays can be exported to the clipboard. The installation of Acheron 2.0 is a straightforward process. Download the installation executable and double-click on it. Follow the instructions of the Installation Program. The size of the curve icons displayed on the left pane of Acheron 2.0 screen can be tailored to fit your preference using the Ribbon buttons of the 'View Tab. The Output Pane can be shown or hidden according to the current selection of the Ribbon Menu Button labelled 'Output Pane' (Tab 'View'). The Status Bar can be shown or hidden according to the current selection of the Ribbon Menu Button labelled 'Status Bar' (Tab 'View'). 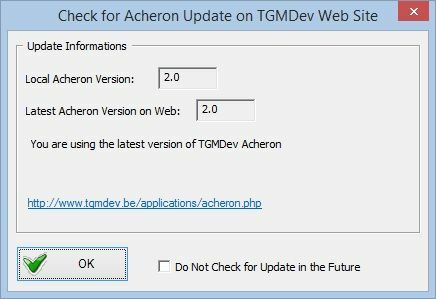 Once a month, at startup, Acheron 2.0 checks for available update. At any time, the check can be triggered by clicking the Ribbon button labelled 'Check for Update' in the Ribbon Category 'Help'. The TGMDev computers are protected by the latest version of Norton Internet Security. To the best of our knowledge, the application is virus-free. Also, Acheron 2.0 is garanteed to be spyware-free. 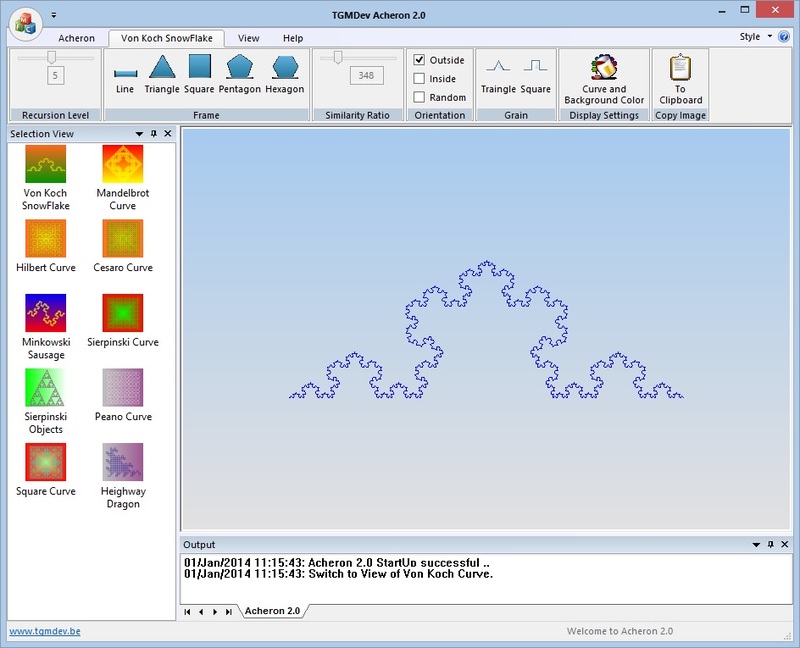 The application Acheron 2.0 is written according to the standard techniques and recommendations for the development of applications for Windows. The application has been tested extensively to verify its correct behaviour and memory management and to determine its effectiveness on different computers including network-linked computers.